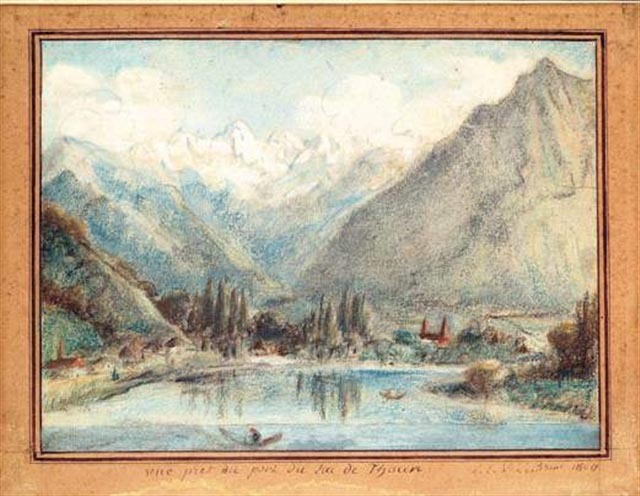 Vue de port du lac de Thoun, signed and dated 1808.Not sold at auction by Tajan on Tuesday, March 20, 2007 as lot 52. 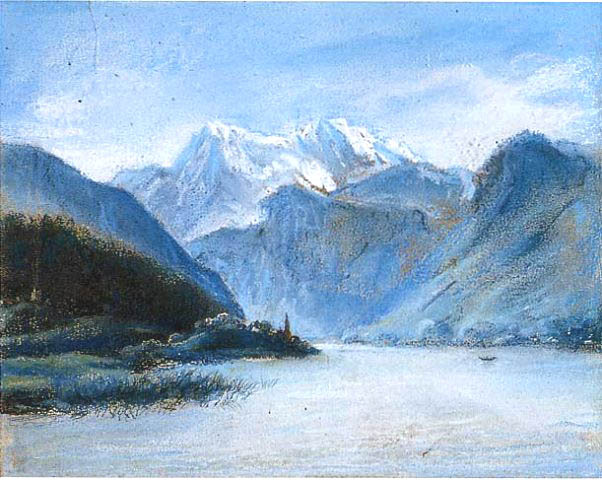 View a framed image of this drawing. 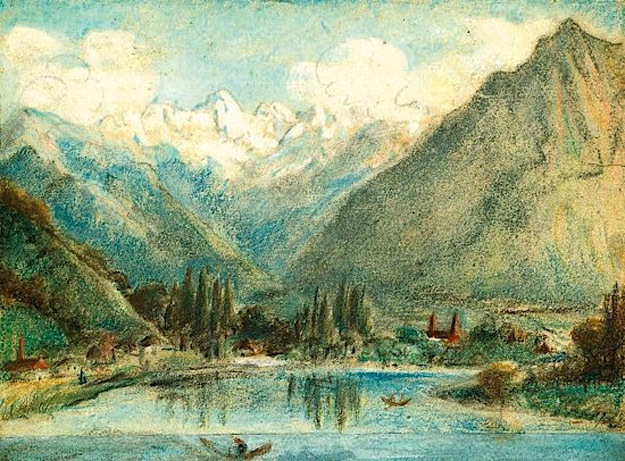 In Letter II of Travels through Switzerland Vigee Le Brun wrote: "On leaving Berne I continued on to Thun, and from Thun I made my way towards the famous glacier..." View another drawing Vigee Le brun completed of this lake. 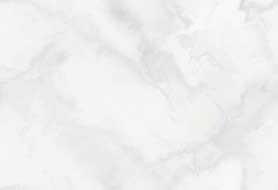 More information on Thun. Count Moritz Christian Johann Reichsgraf von Fries (b 6 May 1777 Vienna, d 26 Dec 1826 Paris) was the son of Count Johann von Fries and Anne von Escherny. He was the proprietor of the prosperous Viennese banking firm of Fries & Co. and treasurer to the imperial court. He was a patron of Ludwig van Beethoven. Beethoven composed for Fries two Sonatas for Violin and Piano (Op. 23 and 24), the String Quintet, Op. 29, and dedicated the Seventh Symphony of 1813 to him. 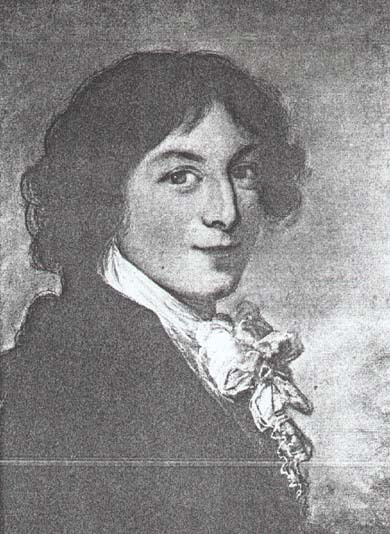 Fries continued to provide regular financial support until his bank tumbled into bankruptcy in 1824 when he moved to Paris following the Napoleonic upheavals. 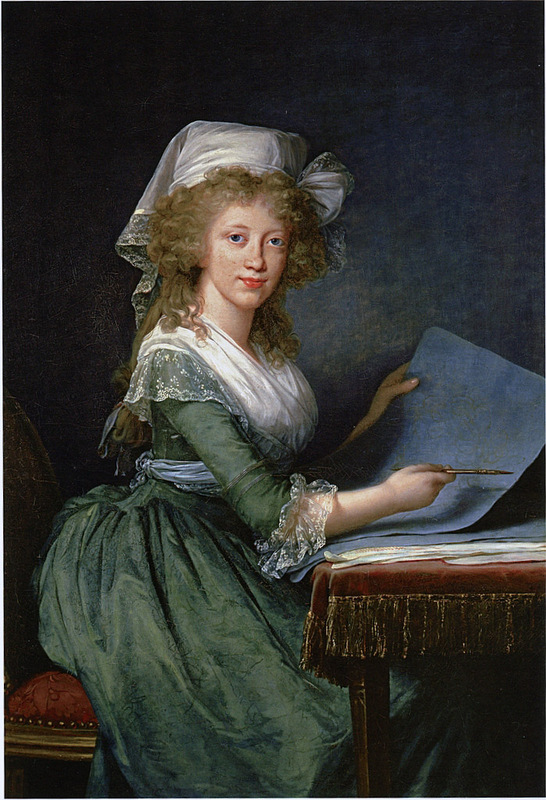 Vigée Le Brun also painted his sisters, Countess Sopie von Fries, later Countess Haugwitz (Art Page 170) and Countess Ursula Margaretha Agatha Victoria von Schönfeld née von Fries (Art Page 4).